I don’t often wear beanies, but I do love wearing fingerless mittens, so when I remembered I had two skeins of The Verdant Gryphon’s Traveller in Jackdaw’s Castle (a delicious red) in my stash, I knew I had to have a matched pair. Both patterns use the same stitch pattern, a tiny bowknit. 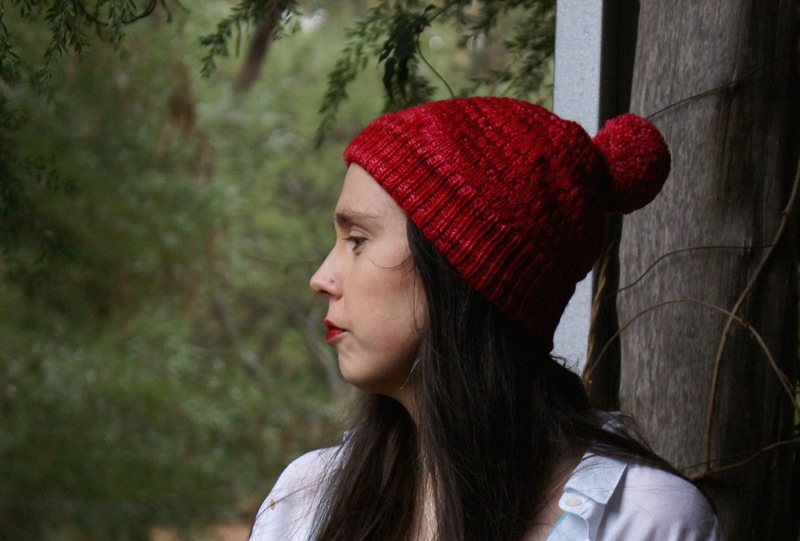 What I love about this stitch pattern is that it looks like it involves slipped stitches and holding your yarn in front, but it doesn’t. It’s all textural. 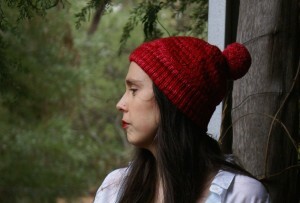 The Callistemon Beanie features a deep brim and an optional pom pom and comes in four sizes. 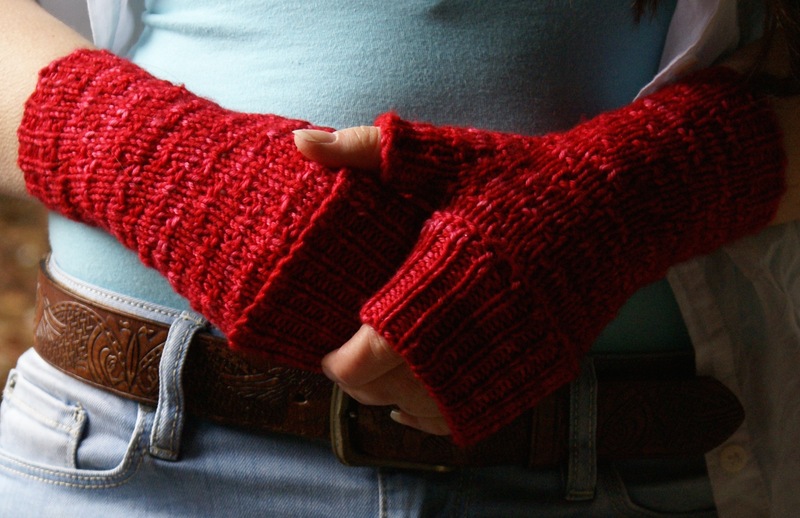 The Callistemon Mittens comes in five sizes and features an optional hand cuff. Huh? A hand cuff? Yeah, well, my fingers get cold in winter when I’m writing so I wanted the option to be able to cover them. All it is is a cuff for your fingers. 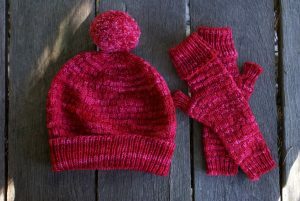 Fold it down when you need to write/knit/crochet/draw/work, and then up when you don’t to help keep your fingers toasty warm! 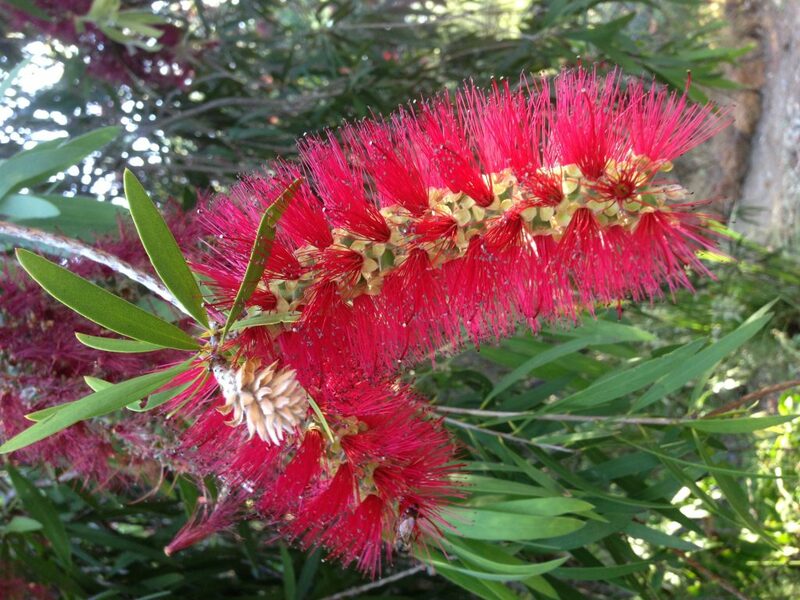 The Callistemon Beanie and Callistemon Mittens are the name for the a native Australian plant the bottle brush. So named, because that is exactly what it looks like. It comes in several colours, but the most common is red. Bees and birds both love this plant when it is flower.